Top of the website above the site header, displayed on every page. 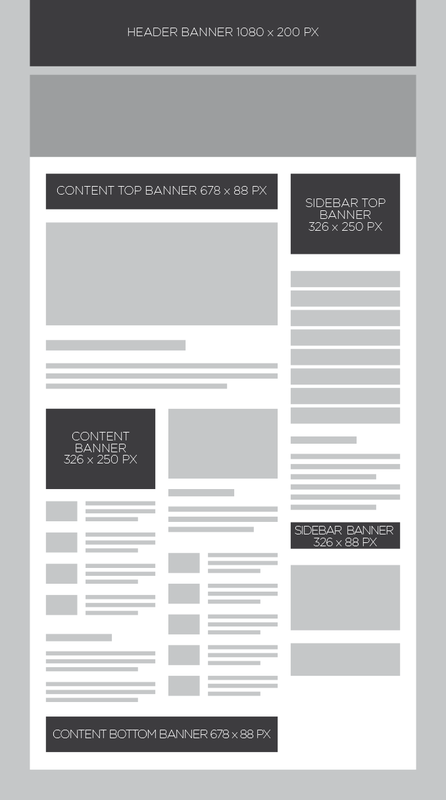 Large banner 2/3 width above the content, displayed on homepage. Large banner 2/3 width above the content, displayed on every following news page. Placement within content beneath the opening article, displayed on homepage. Placement beneath content, displayed on homepage. On the right side of the homepage, top of the content, displayed on homepage. On the right side of the page, top of the content, displayed on news pages. Placement in the right column beneath the sponsored logos, displayed on homepage. Placement in the right column beneath the sponsored logos, displayed on news pages.